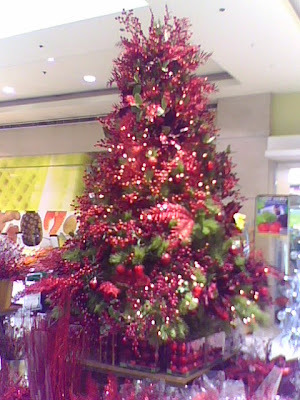 Home Christmas christmas season christmas time christmas tree malls SM Mall trees xmas yuletide yuletide symbols Yuletide Symbols I: "Oh My Christmas Trees!" It's Christmas Season once again...!!! Yepeey!!! Many were really, really jolly for the coming of this once in a year celebration. The longest celebration ever! Truly Christmas is in the air! Oops...23 days to go before the birthday of Christ Jesus! I roamed around the different malls. 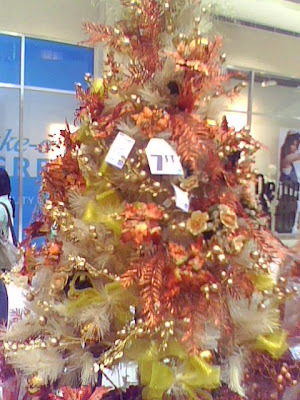 Inside and outside the malls, you will truly feel the spirit of Christmas. Out of joy and curiosity, I took different pictures of the different Christmas displays in the mall. And here are what I got! But wait, this is only the Part 1 of my month-long Christmas Special here in your favorite site. Let us start with the every homes favorite, the Christmas Trees! Our Traditional Green Christmas Tree! 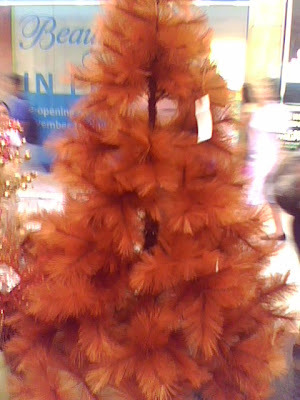 What An Orange Christmas Tree...Is It A Japanese Tree! What can you say on these photos? Yeah, these were taken using my mobile phone camera! According to my officemates, my mobile camera is really great! It gives me a very good shots. The colors and appearance of all the pictures I've took were all catchy and attractive! Now let's go back to these Christmas trees! Which of these were cool and attractive to you? Which do you like most? 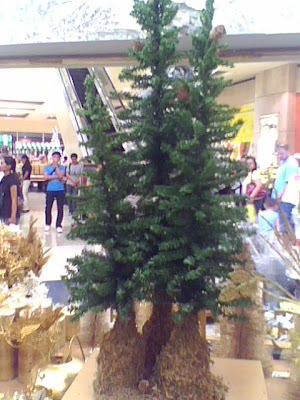 To be exact, these Christmas trees were taken in SM Makati three weeks ago. It was a Saturday morning and I need to buy something in the mall. Since it was too early, the mall didn't yet allow the people to go upstairs. They just let the people in the ground floor of the mall where the groceries and food courts were located. 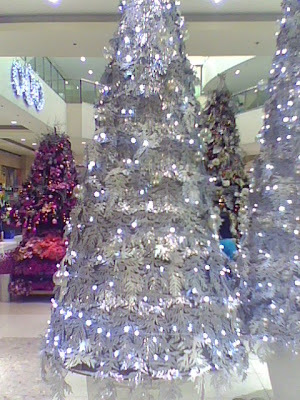 So to avoid boredom, I walk around the different Christmas displays. 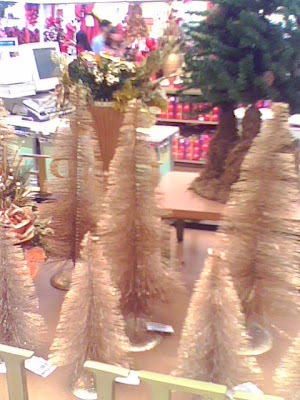 I got attracted to the cute and cool yuletide displays so I took photos of them! 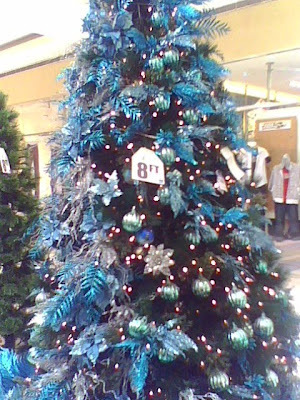 A Blue Tree For Everyone With A Blue Christmas...! For my initial post, here with you are the Christmas trees! Christmas trees are really a traditional part of every homes during Christmas. 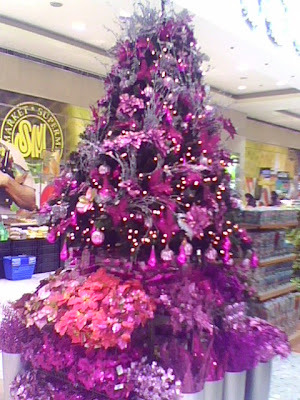 Not only here in the Philippines, the popularity of Christmas trees reign around the world! Look at the different photos of Christmas trees. They all came in different varieties. They vary and they suit depending on the locations. Every countries, every homes around the globe, they all proud to have their own Christmas trees! Hmmm...if I were to ask you, what breed or type of Christmas tree do you love? 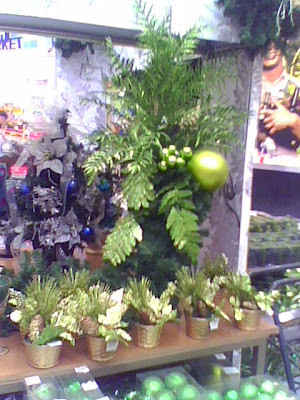 Are you contented with our traditional green tree? 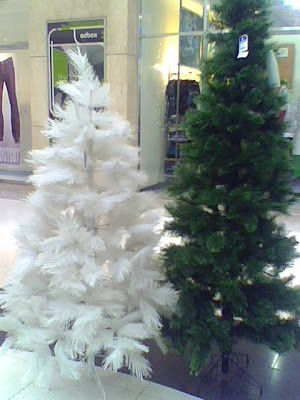 Or you are inline with the white xmas tree? Or you are so creative that you put your own designs in the tree? Well, you are free to give your thoughts! I prefer Parol as the true symbol of Filipino Christmas celebration. Nonetheless, we had an apple-green colored tree in our home. It was my mom's idea. Very catchy.